This is a fine example of the well regarded NZ built Markline flybridge cruisers which more accommodation than most into their 36'. 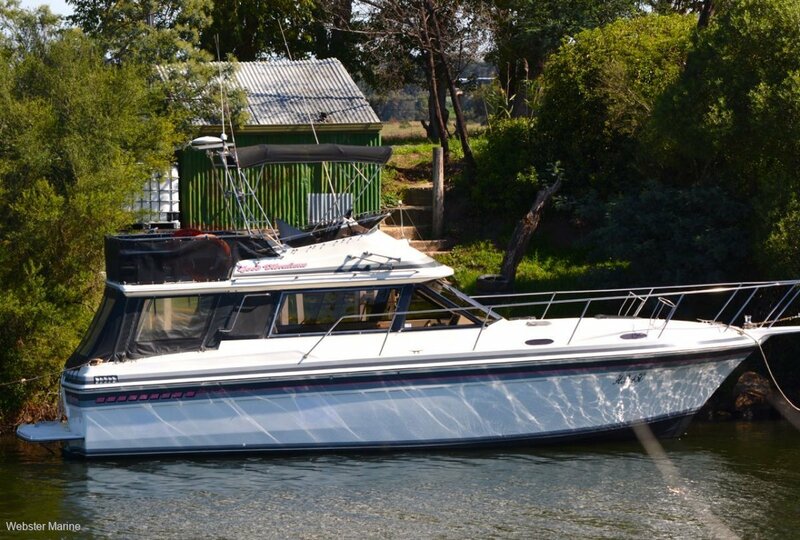 Featuring 2 separate cabins, these boats are ideal for a small family. They also have plenty of entertaining space with a large cockpit area, full length flybridge and a generous saloon which incorporates a sunken galley. "Good Vibrations" is a 1986 model, powered by twin Volvo 165 hp diesels driving twin duo-props. She is very well maintained and has only just been slipped and serviced (March/April 2019). Inventory includes new Raymarine touch screen plotter/sounder, a 3 KVA portable gen-set, new batteries, solar charging and hooded Magma gas BBQ. Very good condition throughout.